For using to homogenize specimens, with or without filters. It’s easy to write data on the white print with an ordinary ballpoint pen, pencil, or felt-tip marker. The use of a very fine filter keeps the homogenized specimen reduce unwanted lees. Easier to open with a wide filter opening. Sample inlet is also wide. This type keeps the pipette free from contamination thereby increasing the accuracy of the results. PX0020S For spiral plating method use. It is equipped with a sealing for holding lees of the sample when moving the homogenized sample to another sterilized container. PX0020P Plain type for a measuring pipette use. 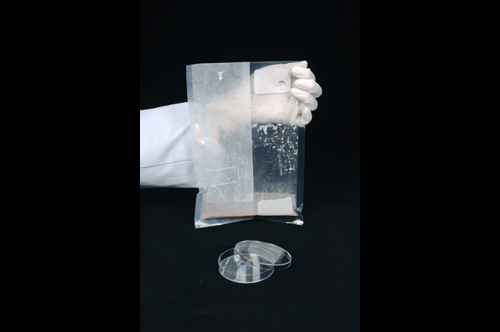 It has neither an opening for pull-down or sealing for holding lees of the sample.